No matter what we do in our daily lives, we are constantly assessing how we can improve the quality and meaningfulness in all we achieve. We look to experiences of our peers to learn and measure how we perform in that context. 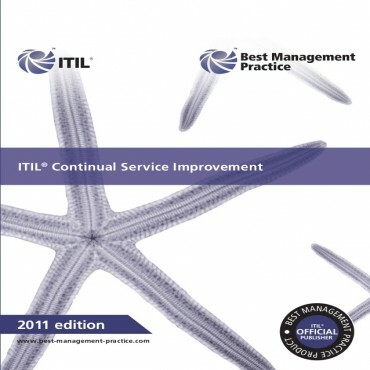 Continual Service Improvement surrounds the ITIL service lifecycle by exerting influence in every aspect of service management to improve our performance, capability and business value as service providers. The most important aspect of understanding how to improve is in knowing what to measure and how those measures can be assessed, analysed and used as a basis for improvements. This publication forms part of an overall lifecycle of service management practices and guides the reader in understanding service measurement, how to assess the overall service management health and maturity, and then what to do to make it better. The guidance in Continual Service Improvement is based around the view of improvement from the business perspective of service quality. As service providers, what we think of our service quality is important, but what our business customers think is paramount to our survival. Service providers who are serious about paying more than lip service to service improvement need to own and use the practices in this publication.